Jubilee Garage can service any car or motorbike and most commercial vehicles. We have a fully-equipped workshop in North Wales, a highly-trained team and the latest equipment so we can bring you a dealer-level service at a local-level price. We are a block exemption approved garage which means your warranty will still be valid when you service your car here. You'll receive exactly the same service and guarantees as you would from a main dealer. But you won't receive the hefty bill afterwards. 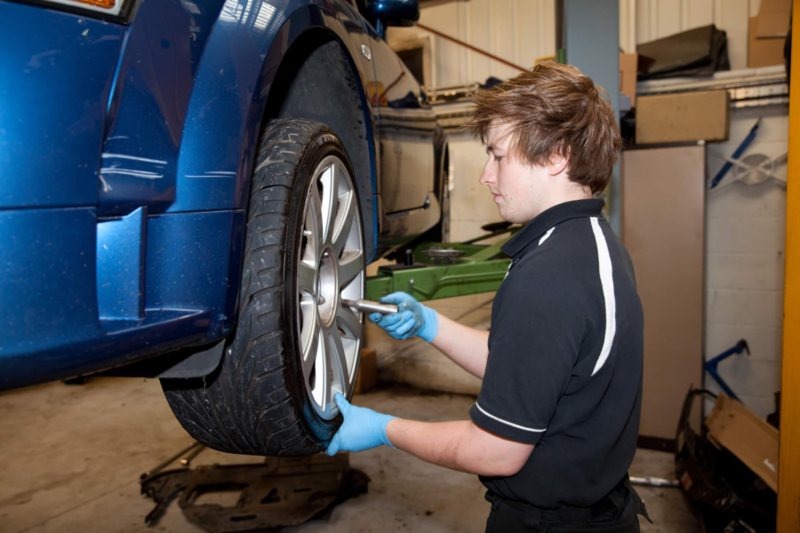 If we find any faults on your vehicle while we're servicing it, we won't carry out any extra work or replace any parts without talking to you first so there won't be any nasty surprises when you pay. Courtesy cars and vans are available and we'll send you a text or email you to let you know when your next service is due, whether it's a main service or one required at specific intervals by your manufacturer. And make sure you bring your logbook with you so we can stamp it for you. Some newer vehicles no longer have paper service books, they are updated online through specific dealer websites. At Jubilee, we have access to these and can still update your service record.